Filed to: you tried!Filed to: you tried! This year has been one painful shot to the face after another. It’s like God decided to make 2016 his personal blooper reel. 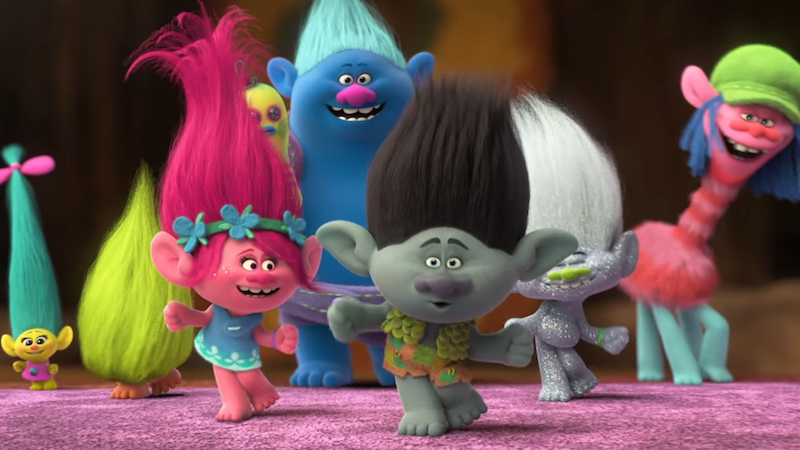 And while I commend Mike Mitchell for wanting to make a movie about togetherness get us out of this 12-month shitpile, I am pretty sure Trolls is not going to be the shovel we need. I think the internet is very judgmental, not to mention the very strange election coming up and social unrest. We really wanted to make a film that made people feel happy, that explored the feeling of happiness. The internet is very judgmental, and that is something you’re going to have to make your peace with once you decide to make a Trolls movie. Because otherwise, you will end up crying under your desk. Mitchell’s reference to the “very strange election and social unrest” is slightly more pressing than a judgmental internet. And also one that seems like it’s not at all related to a Trolls movie. Look. I just don’t think that a movie about naked dolls with multicolored hair is really going to counterbalance either of those things. It’s sweet of him to think so, though.